Allow me to extend my personal welcome to Prestwick Chase at Saratoga. After touring our community, I am sure that you will soon agree that it feels like home. Our vision in creating this community was one that ensured a carefree and happy lifestyle, with a major emphasis on affordability and resort-style hospitality. Most importantly, we set out to establish a premier adult community that is safe, serene, and supportive of a happy, healthy lifestyle. Today, we can proudly say we have fulfilled our vision. We offer the very best in service and amenities, and we guarantee that there will never be an entrance or buy in fee. Prestwick Chase offers five distinctively different packages and six tasteful floor plans that each cater to your independent lifestyle and daily living schedule. In addition to everything Prestwick Chase has to offer, we are just minutes from downtown historic Saratoga Springs. Relocating to Prestwick Chase is an exciting and rewarding decision. We are confident that you will find happiness here, and make many lasting friendships with active, independent neighbors. Our staff is constantly working to provide all of our residents with a happy and carefree lifestyle. 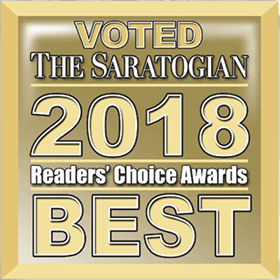 Make Prestwick Chase at Saratoga your home for the best season of your life.